Thought I'd share with you all what I plan to achieve in 2010. Feel free to share some of your plans for 2010. Be safe and enjoy. Wishing you all a fruitful year. To all who supported AGrlCanMac this year, THANK YOU. It's here to inspire and instill a willingness to learn how to care for and style this coily-curly mass we possess and most importantly instill PRIDE in our hair. Never let anyone make you think our hair isn't BEAUTIFUL! 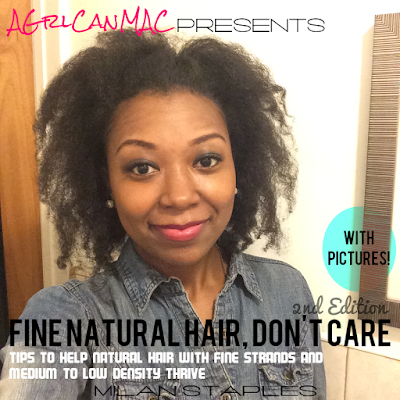 Natural hair isn't a trend, it's a beautiful lifestyle and we're takin ova! To taking the Natural Movement to the next level in 2010! Let's DO this maaaannnn!!!! 1) Make my permed friend jealous of my fabulous hair. HAPPY NEW YEAR!!! Lets get it in 2010!! We have a lot of the sames goals this year Milan. A couple that we share in common is to find employment, and find a church home. Oh and get back into the fitness game! Of course for me I want to achieve phenomenal growth of my natural hair this year too! I'm officially 2 months natural! I just started a blog, and plan to devote more time setting it up before I actively advertise it. However, feel free to stop by and say hi and follow me! Thanks for sharing your plans for 2010 Faith Liamano and Natural Enchantress. It's crazy the misconceptions we have of our own hair. Let's shatter more of them this year! I will stop by and check you out NE.